All of us remember hearing about how many of the stars and other objects in space are millions and even billions of light-years away. Since the light from those objects is slightly redder than expected, scientists say that they are moving away from the earth at tremendous speeds. So the redder the light, the more distant they are. But is the red-shift really proof that there are objects millions of light years away? Creation scientists point out that many things can cause light to become red. Various gasses and dust like those found in space regularly turn our sunsets and sunrises red. Astronomer Halton Arp, formerly of the Mt. Wilson Observatories in Pasadena, California, has uncovered many evidences that the red-shifting of starlight is more likely caused by factors other than distance. 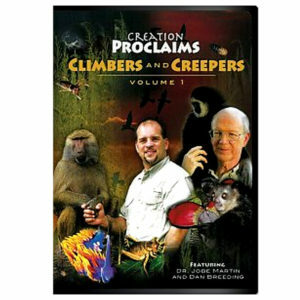 I should add that Dr. Arp is not a creationist, just an honest scientist. His work has caused a great stir among scientists who believe in evolution to the point where he has now returned to work in Germany. When man uses evidence from the creation – like starlight to try to prove that there is no God – he is placing the creation above the Creator, and the Bible calls this idolatry. We Christians must be careful before accepting any claims not found in the Bible. And we must reject those claims that contradict the Bible. Heavenly Father, I thank You that You are greater than all things in the creation. Help me to better learn Your Word so that I am never trapped into the idolatry of any “learning” from the creation that goes against Your Word. In Jesus’ Name. Amen. Photo: Halton Arp with his grandsons.